MK Mickey Zohar (Likud) intends in the coming days to submit a bill seeking to curb the anti-Israel activity of radical leftist Israeli NGOs by placing restrictions on would-be sources of funding. According to the bill, dubbed the “Soros Law” after billionaire George Soros, anyone who contributes to organizations acting against Israel is to be barred from contributing to any Israeli NGO. “The time has come to dry up leftist organizations which work subversively against the government, slander Israel, and try and hurt its right to defend itself,” Zohar said Monday. 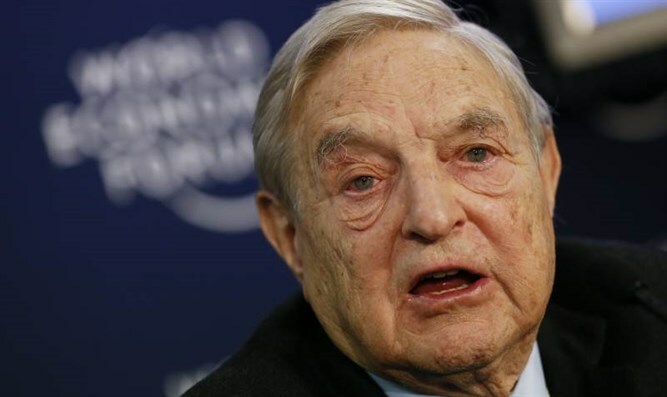 The prototype of those the bill seeks to target, American currency speculator George Soros, contributes large sums to political causes around the world through his Open Society Foundations (OSF), including millions of dollars to anti-Israel groups. A leaked OSF document said that OSF’s strategy with respect to Israel is to "focus on raising the cost of the occupation and ending it on the one hand, and on human rights advocacy and protection on the other." On Saturday, Israel's Ambassador to Budapest, Yossi Amrani, called on Hungary to stop an anti-Soros billboard campaign, claiming that it encouraged anti-Semitism. A senior Foreign Ministry official later clarified that the call did not exempt Soros himself from criticism. "Under no circumstances was there a statement aimed at de-legitimizing criticism of George Soros, who continues to undermine the democratically elected government of Israel by funding organizations that defame the Jewish state and seek to deprive it of the right to defend itself," the official said.